My brain has been stolen. . . by zombies! It's all Karina Fabian's fault. If you’d follow me to the experimentation room… Yes, yes, that is a live zombie. Or actually, an undead zombie (chortle). No need to panic. We’re behind safety glass, as are Doctor Clegg and our own ZERD specialist, Berk Fognini. As you know, or should know by now, zombies do not have higher brain functions. For example, zombies as a rule cannot do multiplication. Of course, regular humans can. What’s 7x6? Yes you… uh, no, that’s not… You? No, it can’t be an odd number. How about…? No, no Googling it. Oh, hm. Maybe we should rethink that test. Anyway, in general, a lack of higher brain functions is the rule, but what does that mean? 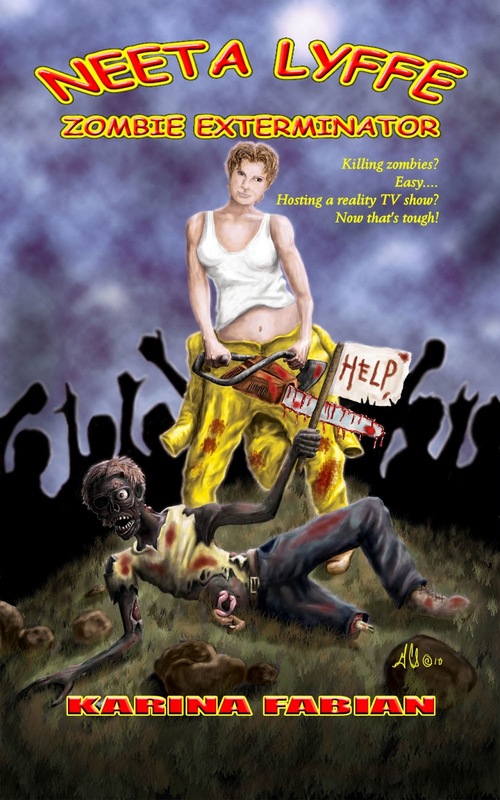 We know that zombies can think enough to return home, chase the living, open doors, even avoid smoking areas. But is that cognizant thought or just ingrained habit? Today, we’re trying something new. We will actually question a zombie. Yes, yes, people have done that before, but in the past, most of those people have been killed by the zombie before they could share anything they might have learned. Besides, “Honey, what are you doing?”, “Don’t you recognize me?” and “How could you?” really don’t give us a lot of insight. So please do not try this at home or anywhere else. We are professionals! As you can see, our – quote – live zombie – unquote - has been immobilized with netting and we’ve attached electrodes to its brain. An MRI would be more accurate, of course, but we couldn’t guarantee it would survive the decontamination process. Listen as Doctors Clegg and Fognini begin the test. You can see the brain activity on the screen to the upper left. Clegg: Can you tell us your name? The zombie rasps a groan and struggles against the netting. The lines on the graph twitch, but steady quickly. Its eyes roll in its head and it twists, but it ignores the scientists. Again, a minimal response makes the lines wiggle but nothing more. Clegg shrugs and waves to Fognini. Fognini, with the voice of the Bridgekeeper in Monty Python: What…is your name? The zombie stills, but turns its attention toward the scientists. The graph starts drawing peaks. Fognini: What…is your favorite color? Despite the zombie’s last answer ending in a long groan, the machine still showed activity. Wow! So as you can see, we definitely have a Python fan. We had expected that, since this is the walking corpse of Cumberdict Benehatch, a local actor who hung himself when he didn’t get the part of King Arthur. The corpse zombiefied and escaped its noose before it was discovered, and was captured when it returned to the theater groaning, “Flesh wound.” I wonder if it’s a fan of British comedy in general. Excuse me. Coriander presses a button: Jaleta? Try something from Dinner With the Past. I love that show. Clegg: Who would you like dinner with? Zombie stares at her a moment: Braaains. Clegg, this time with a Welsh accent: Welcome to Dinner With the Past. Are you expecting someone? For a moment, the zombie is still. The graphs trace gentle waves. Then, a sudden spike. Clegg, eyebrows raised in surprise: Very good. And what will you be having? Zombie: Einstein. Aquinas. Biden. 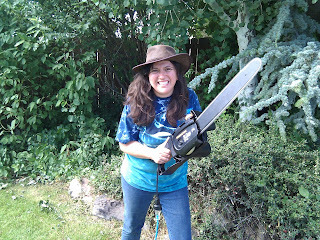 Braaains! Fascinating! If I may draw your attention to the charts. You see this pattern, here? That is commonly associated with hunger, yet this line shows a definite decision-making process. It would seem our test subject has a discriminating taste in brains. Biden, one can only assume, is dessert. Let’s see where Jaleta goes with this. Clegg: Why do you eat brains? The zombie groans “brains!” once or twice more, and renews its struggle to escape. Fognini, quoting The Return of the Living Dead: Don’t be afraid. Can you hear me? Why do you eat people? Jaleta grabs Berk’s arm, shouting for him to stop, but it was too late. The zombie goes wild. It howls and thrashes against its restraints. The charts draws the Himalayas, then go flat as the zombie tears the wires out of the machine. Alarms sounds and large guns drop from the ceiling and spray the zombie with foam. As its struggles cease and it goes slack, it moans. Oh, my. Oh, that is a shame. Fognini stepped all over its lines. You see, this is why you have to stay objective, and keep to a methodical scientific process. Well, still some interesting data. Perhaps we can try with someone who was less sensitive when they were alive. Next on our tour is our chemical defense system. We have a wonderful video for you on how we developed the antihistamine foam you just saw in action. You do NOT want to see what happened next. It wasn't pretty. Trust me. Oh, you DO want to see that? But this is a public blog. You're going to have to read the books. Or listen to them. 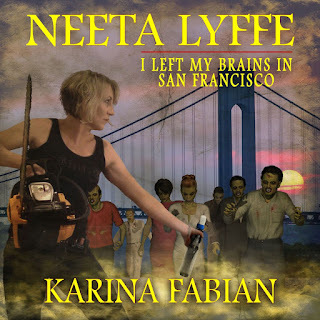 After all, we are celebrating the audiobook release for Neeta Lyffe and her zombie adventures. 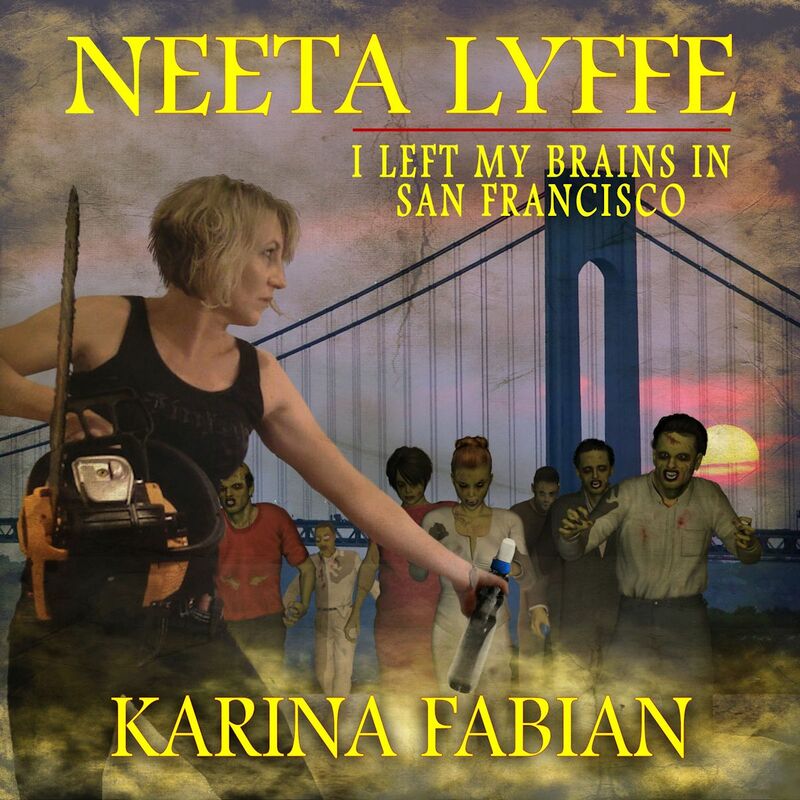 I Left My Brains in San Francisco is waiting for you to listen. 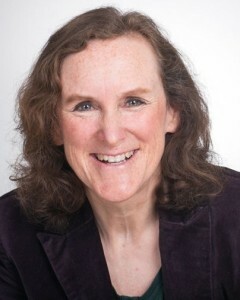 Becky Parker Geist, the narrator, owns Pro Audio Voices, serving clients internationally with exceptional voiceover for audiobooks, advertising & animation. 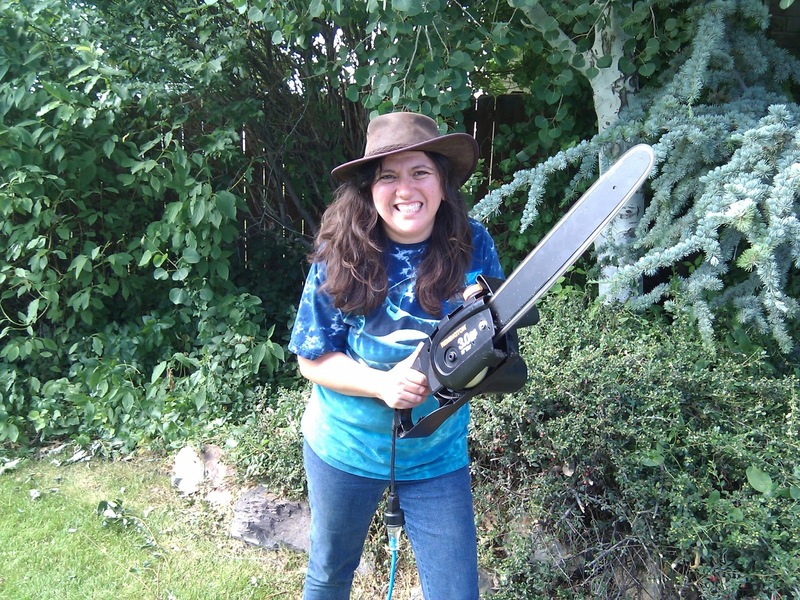 She loves creating audiobooks with sound effects! Married with 3 adult daughters, Becky lives in San Francisco and New York, working Off Broadway regularly. Audio Link will be sent once live….or undead, as the case may be. Due to publisher delays, it isn't quite there yet, but stay tuned.